DR. MYLES MUNROE & HIS WIFE, RUTH KILLED IN BAHAMAS PLANE CRASH. 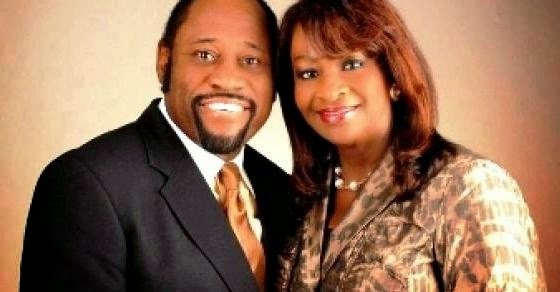 Dr Myles Munroe and his wife Ruth Monroe have reportedly died in a plane crash in the Bahamas. According to Forbes, the plane reportedly struck a crane at the Grand Bahama Ship Yard, exploding on impact and crashing into the ground near a junkyard area at the Bahama International Airport. The identities of the other people on board have not yet been confirmed. They were all attending a gathering in Grand Bahama for Dr. Munroe’s 2014 Global Leadership Forum which starts tomorrow, November, 10. Mrs. Folorunso Alakija is also expected to speak at the leadership forum. The conference would still go on as the message posted on the Facebook age reads: "On behalf of Myles Munroe International and ITWLA. We would like to inform you that the Global Leadership Forum will continue. The Forum will be for two and a half days (Monday, Tuesday and Wednesday morning). This is what Dr. Munroe would have wanted. Please keep his family and the ministry in prayers." Dr Munroe was a popular "lecturer, teacher, life coach, government consultant, and leadership mentor." I love listening to his messages. High impact messages. May his soul rest in peace. I know he is with his saviour because he loves God so much. Am just so sad...This man has always been an inspiration to me, his books and messages are awesome..they helped me changed a lot of things in my life.Lord teach us to number our days..
so sad..my heart goes out to his family..
May His soul rest in peace. He left in the midst of celebration his life impacted on others. May their gentle souls and that of the other crew members rest in peace. May their souls rest in peace and may God strengthen and support those left behind.